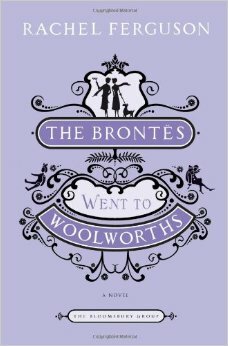 You are currently browsing the tag archive for the ‘bronte’ tag. As Dr John falls into the story’s background and the focus shifts to M. Paul I start getting more and more confused: am I suppose to like him?! Maybe I’m being a bit unfair here (who knows what will happen in the next chapters? ), but the word “bully” keps popping into my mind. That scene at the Hotel Crécy, when Mr Paul “sibilates” those insults and just minutes afterwards speaks to Lucy “politely, and even deferentially” reminded me of the usual behavior of violent husbands. 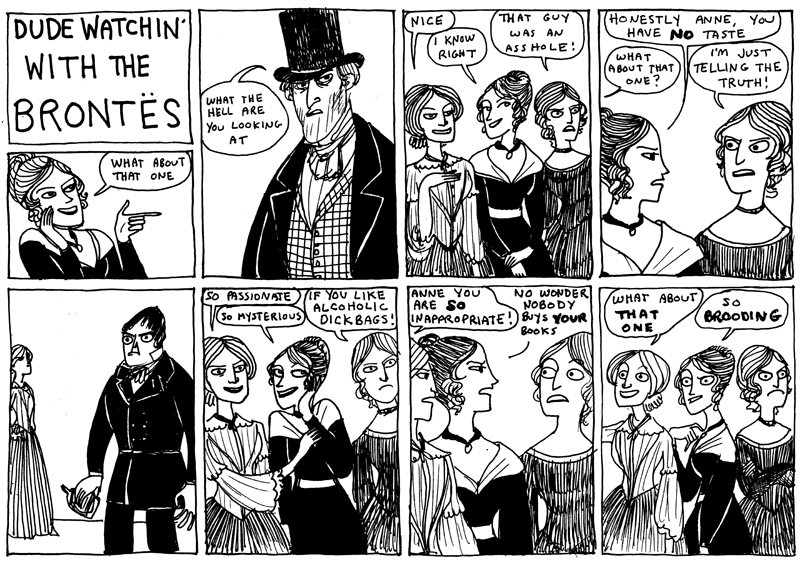 By making M. Paul behave like this (the criticism of Lucy’s dress, the inflamed speech against the English) is Charlotte Brontë expecting us to think “what a passionate man! I wish someone was jealous like this over me”? Because I’m not feeling it, and am becoming increasingly concerned about Lucy’s interest in him. He [Dr John] has said, and you have heard him say it: “Lucy’s disadvantages spring from over-gravity in tastes and manner – want of colour in character and costume. ‘Such are your own and your friends’ impressions; and behold! There starts up a little man, differing diametrically from all these, roundly charging you with being too airy and cheery – too volatile and versatile – too flowery ad coloury. I understand why Lucy might start to enjoy this new image of herself, but from where I’m standing, she really could have used a bit of colour to character and costume, or at least some… lighten-up. So someone who sees her as too vivacious must be at the extreme of the specter. I think we all agree that Dr John is not the man for her, but can she really be happy with someone like M. Paul? These chapters also made me wonder how much of Mr Heger (Charlotte’s Professor whom she fell in love with while living in his Pensionnate) is in M. Paul. Lucy seems to understand him really well and he also becomes her tutor. I even googled M. Heger to see if his anniversary was in March, but didn’t find the date. I’m really curious about how I’ll feel about all of this by the end of the book. [Fraulein Braun] though we thought we were very cordial with her: but we did not slap her on the shoulder, and if we consented to kiss her cheek, it was done quietly, and without any explosive smack. Living in an extremely international city and in a country culturally divided into three, how to say hello is important. The Flemish part of Belgium gives three kisses on the cheek, the Walloon part gives 2, the French community gives 1 or 2 (haven’t figured out what the choice depends on), the Italian also 2 but they start on the right side of the face, the Russians and Balkan men kiss other men, and some other nationalities don’t kiss at all. The most notable thing about these chapters is how quiet they were. While in the earlier ones I underlined many paragraphs and made several notes with lots of exclamation marks, in this section I only had five. Just as Lucy breathed deeply, paused and relaxed, I had a ‘soft’ reading experience and found little to make my blood boil, for good or evil. This alignment of states of mind between character and reader is proof of great workmanship on Bronte’s part, don’t you think? It was good to see Lucy enjoy herself, but I suspect it only happened because she found herself among people of her class and nationality. We were even treated to a mild ugly duckling/make-over scene, which is probably my favorite plot-gimmick ever (I should post a list of Top 10 Favorite Ugly Duckling Moments in Literature soon). Thus for the first, and perhaps only time in my life, I enjoyed the “giftie” of seeing myself as others see me. No need to dwel of the results. Why the use of the word “giftie”? Seems off-key somehow. I also found interesting the part about the gallery and the Cleopatra. 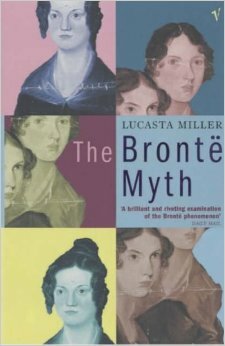 It’s clear that Bronte wanted us to compare the attitudes of the two men in Lucy’s life towards an open display of sexuality. Dr John was all coolness, while M. Paul was his frantic self, ready to cover the modest eyes of any woman in the vicinity. Another not so veiled comparison between Catholics and Protestants – or Continentals and English? 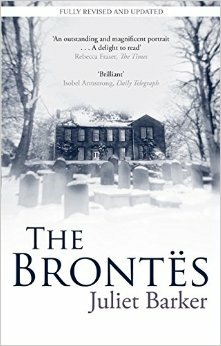 Once again Bronte was not kind to the poor Labassecouriens, especially the women. They all seem to be bulky, “barrel-shaped” and artificial, and can never be trusted – “You never find her [Ginevra] lying, as these foreigners will often lie.” I’m glad that at least the Queen seemed to have pleased! One last note: I would like to see some more character development around Dr. John. I like him, but I don’t see him as a romantic hero. He actually doesn’t create any strong feelings in me, especially now that he stopped orbiting around Ginevra, and I don’t want to slap him upside the head all the time. When is Polly coming back?! Well, I wasn’t expecting that! The most surprising thing wasn’t that Dr. John was Graham, but that Lucy knew for several chapter and didn’t tell us, her dear trusting readers. It makes me smile over the several comments about her powers of observation (including mine), only to see her reveals herself as an unreliable narrator. I’ll need to pay more attention to what she says (and how she says it) it the future. Looking back at her motives, I thinking I’d also not tell Dr. John who I was if he failed to recognize me. This is actually one of the only two moments in these chapters where I could understand Lucy, the other being her sarcastic ode to de Hamal (he he he!). Ever since the chapter in London I’ve been moving further and further away from Lucy. I just don’t get her and it frustrates me a little, because many bloggers I follow loved the book exactly because they recognized themselves in Lucy. Oh well! For instance, here’s something I couldn’t understand: during school months Lucy’s always craving for solitude and as soon as she has it, she’s more depressed than ever! She even goes mentally and physically ill (but not enough to fall into the hands of those cunning Catholics, hey?). And what sin did she confess that so much impressed her confessor? Another: she’s a strong, resilient, self-reliable woman, so why did she let herself be locked in an attic full of rats to better memorize a play? AND YET! And yet she can laugh! How I laughed when I reached the schoolroom. I knew now she had certainly seen Dr. John in the garden. Yet as the laugh died, a kind of wrath smote me, and then bitterness followed: it was the rock struck, and Meriban’s waters gushing out. 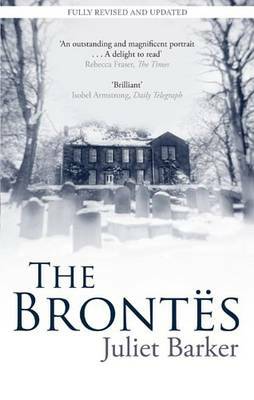 The thing is, as I feel less empathic towards Lucy, I become more curious to see what the Bronte has in stall for her. I’m fascinated by Lucy’s depthness, repression and slightly psychotic mind, and I don’t mind at all that she also became an unreliable narrator – it add more layers to the story! I went into this story without know anything apart that it’s about a woman moving from England to live in a foreign place called Villette. I still know nothing about it apart from these first five chapters. My first thought after finishing them was this: Lucy Snow, who are you? Something tells me I won’t get much closer to an answer by the end of the book, and it surprised me that Charlotte decided to create such a mysterious heroine after letting us into bit of Jane Eyre’s mind (or maybe because of it?). Opposite where he had placed himself [Graham] was seated Mr. Home, and at his elbow, the child. When I say child I use an inappropriate and undescriptive term—a term suggesting any picture rather than that of the demure little person in a mourning frock and white chemisette, that might just have fitted a good-sized doll—perched now on a high chair beside a stand, whereon was her toy work-box of white varnished wood, and holding in her hands a shred of a handkerchief, which she was professing to hem, and at which she bored perseveringly with a needle, that in her fingers seemed almost a skewer, pricking herself ever and anon, marking the cambric with a track of minute red dots; occasionally starting when the perverse weapon—swerving from her control—inflicted a deeper stab than usual; but still silent, diligent, absorbed, womanly. The second home we’re introduced to is that of invalid Miss Marchmont, to take is Lucy as a companion/nurse after an unexplained tragedy happens. I had to go back and re-read the metaphors about boats and storms to realize Lucy was telling us she’d lost all her family and was now alone in the world. 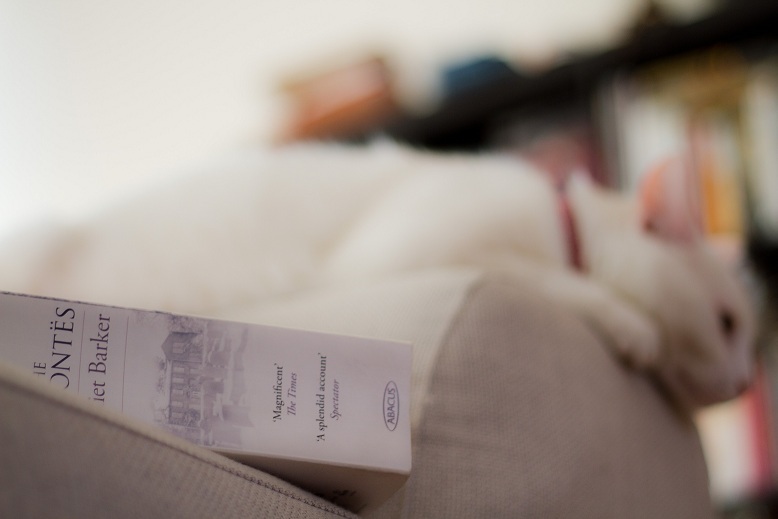 Did Charlotte know that by not telling us what happened, the reader would imagine the worst? It seemed I must be stimulated into action. I must be goaded, driven, stung, forced to energy. My little morsel of human affection, which I prized as if it were a solid pearl, must melt in my fingers and slip thence like a dissolving hailstone. My small adopted duty must be snatched from my easily contented conscience. I had wanted to compromise with Fate: to escape occasional great agonies by submitting to a whole life of privation and small pains. Fate would not so be pacified; nor would Providence sanction this shrinking sloth and cowardly indolence. This is the second book I’ve read this year where we’re left ignorant of the heroine’s background and it’s interesting to see the difference it makes in character development. You really are the sum of all your experiences and the decisions you make are a consequence of a past cause. 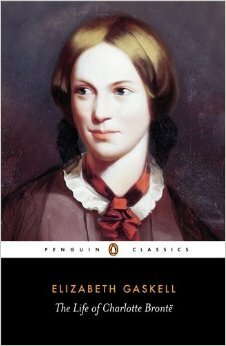 So why did Charlotte decided to give us a “past-less” Lucy Snowe? Something I’m looking forward to explore in the next chapters. 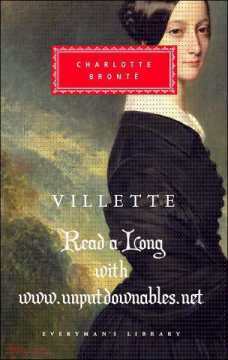 So this is it, I’m finally reading Villette by Charlotte Brontë. 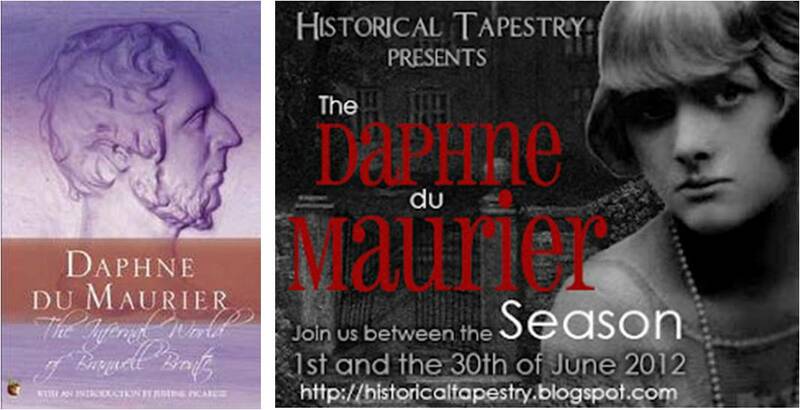 It’s happening because of the timely Villette Read-Along organized by Wallace over at Unputdownables. 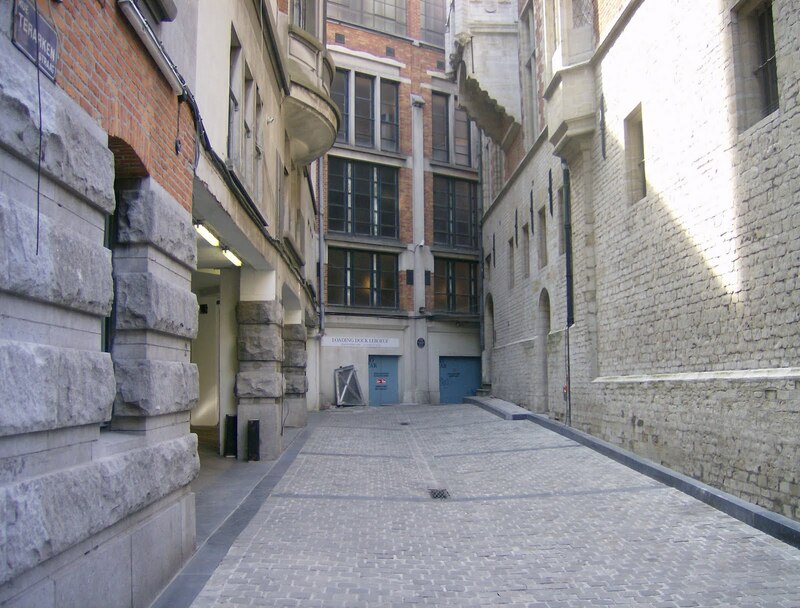 I’ve been curious about this one for a while now, ever since moving to Brussels actually, because this city inspired the fictional one which gave the name to the novel . Emily and Charlotte lived here for a while and that’s why there’s a Brussels Bronte Group, of which I’m a proud member. 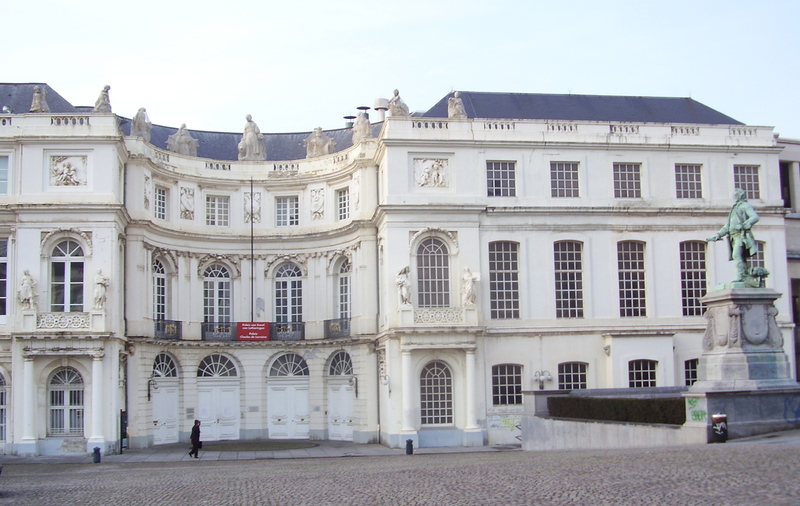 It seems that several of the references to places in Villette are clearly connected to real places in Brussels, so I’m really looking forward to this! 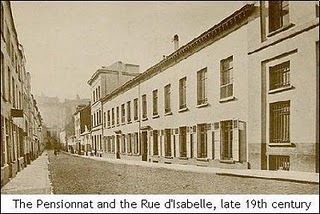 The Pensionnat Héger in Quartier Isabelle, where the sisters lived, has long been destroyed, but the Group placed a plaque in the only piece of original street still visible above ground (there’s another part in the catacombs of a local museum). 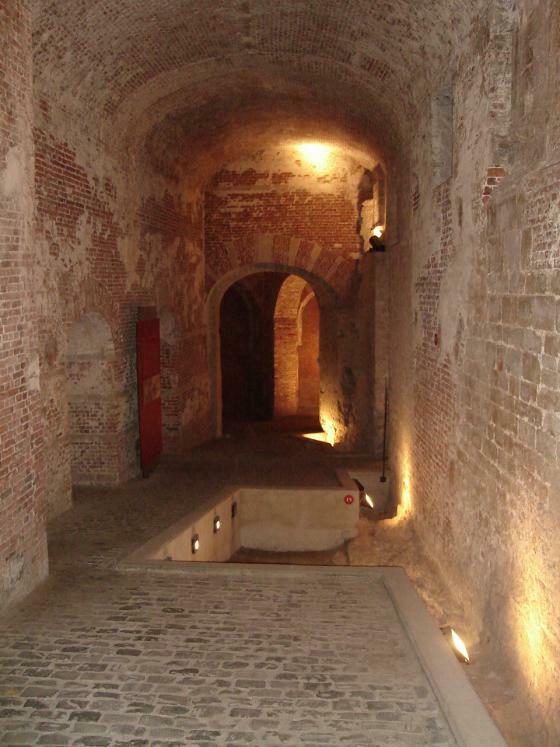 This was done without asking the Brussels municipality, so shhhh, it’s just between you and me, ok? A small piece of Quartier Isabelle still remains. See the plaque between the doors? Tinny blue spec?